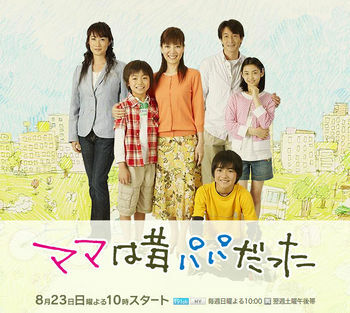 Hitomi is the single mother of two young boys, Shun and Ryo. She has always been considered beautiful by her sons who are proud of her. However, Hitomi wasn't always their mother. Until ten years ago Hitomi was a man. After being diagnosed with gender identity disorder and undergoing sexual reassignment surgery, Hitomi, then known as Hitoshi, began living life as a woman.